إذا كنت تبحث عن فندق بموقع جيد في سيدني، فقد وجدت ضالتك في Glebe Point YHA Hostel . إن موقعه الجيد الذي يبعد 2.5km فقط عن مركز المدينة يساعد النزلاء على الاستمتاع بمعالم المدينة ونشاطاتها. يضفي محيط الفندق اللطيف وقربه من حديقة بيسينتينيال, جوبلي اند بيسنتنيال, ‪Glebe‬ سحراً خاصاً على هذا الفندق. يعرف YHA Australia Hostels بالمستوى الراقي لخدماته ولباقة موظفيه، وهذا ما ستجده في Glebe Point YHA Hostel. يمكن لضيوف الفندق الاستمتاع بالميزات التالية على أرض الفندق: تسجيل وصول/خروج سريع, تخزين الأمتعة, واي فاي في المناطق العامة, التوصيل من وإلى المطار, مرافق للشواء . تنعكس أجواء Glebe Point YHA Hostel في غرف الضيوف.بياضات, اتصال لاسلكي بالإنترنت, تدفئة, مكتب, مروحة هي بعض الميزات الموجود في العديد من الغرف. يقدم الفندق العديد من الفرص للاستجمام كمثل مسار جولف - ضمن 3 كم, بلياردو, حديقة, غرفة ألعاب. إن Glebe Point YHA Hostel هو خيارك لخدمة الفنادق الراقية في سيدني. We had a wonderful stay in Glebe. With 3 of us it was cheaper to catch taxis around town which suited us fine. There was a great selection of food and the Glebe market was a hit! Wonderful staff. Comfortable stay. Nothing negative to say about this place except that there is no fridges or kettle in the private bedrooms. The location can be a disadvantage if you don't want to take the bus every time you want to go out. But overall the place is clean and so were the female shared bathrooms. Although it's an old hostel with low quality furnitures, it is well maintained and quiet as well (residential area). 1. The location was very good. Transport was good. Very well run. Most backpackers laid back and quiet. Not noisy at night. I love this hostel and would recommend it to any and everyone. 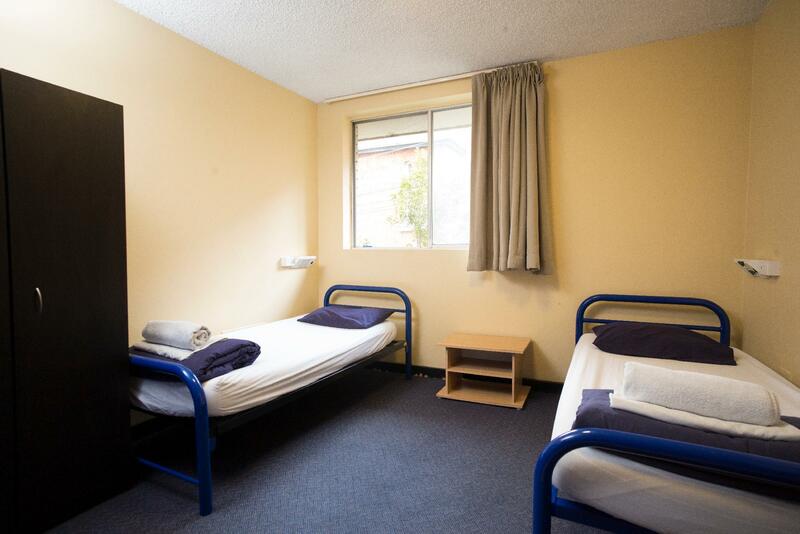 It is the oldest hostel in Sydney, the staff are really friendly and helpful, Glebe is just beautiful and it is easy to get around everywhere either walking or by transit. The guests are super friendly as well. The restaurants can be a little pricey, but if you shop around you can find affordable food. Tons of coffee shops, make sure you check out Grinders. A couple minute walk to the water and make sure you check out the roof top of the hostel, it is superb. I would stay here again and again, sad I had to leave! It was a bit disappointing. The building looked old and rundown once you go inside. Corridors were a little dark and cluttered with some disposed items lying around while you walk through. Rooms were stuffy and lacking decent lighting and ventilation. It didn't have a friendly atmosphere as I had expected. 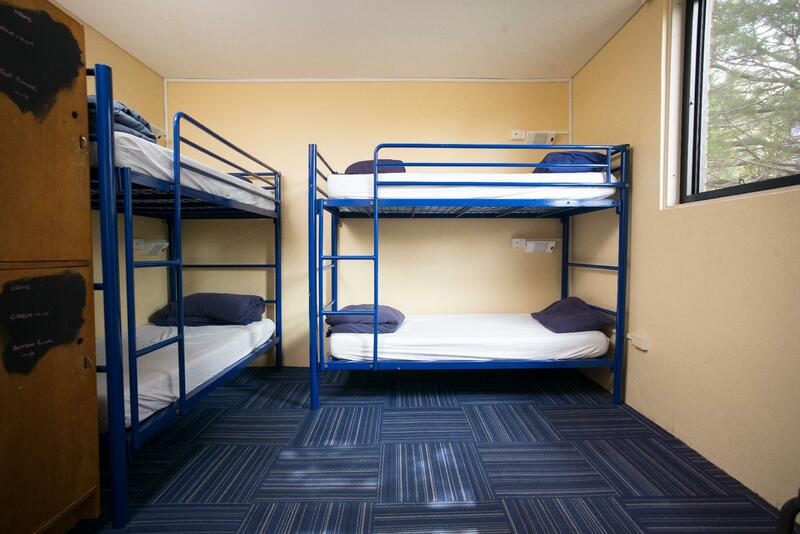 I really enjoyed this hostel, especially at the cheap price. We only paid $40 pp for a 3 bed room. The facilities were good too. I'd go here again. The only drawback is that it is a 30 minute bus ride from the city. Glebe Point YHA hostel has great, helpful staff. It's a bit farther out, in a quiet part of town, but has convenient transportation to CBD (take bus 431). There are a lot of small cafes, restaurants, as well as convenience stores, if you want to do some grocery shopping. You do have to setup and remove your own bedsheets/pillowcases, which I found a bit odd, but that helps keep costs down. There is free WiFi too. I wouldn't coming back here again. The friendliness and helpfulness of the staff. There knowledge about things to do in the area was also very helpful. 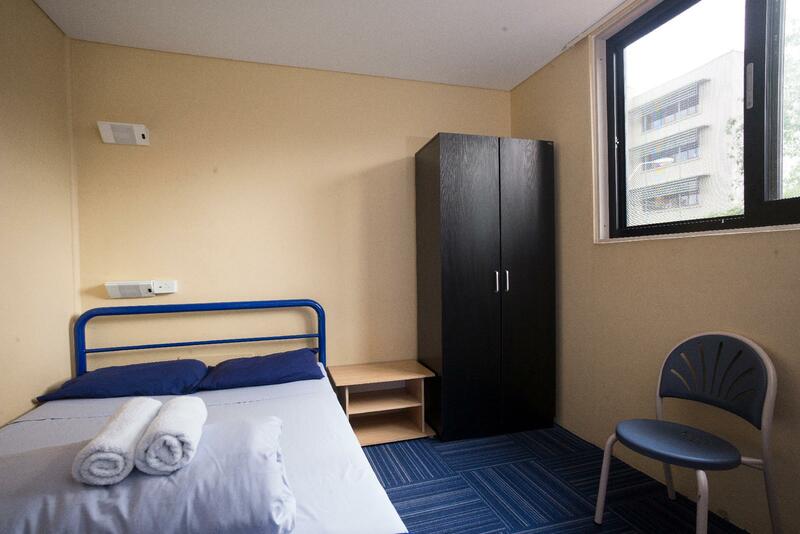 Price is reasonable, good location , 15 mins by bus from city centre. Room and toilet is clean, staff is friendly. The hostel was clean and the service was good. Guys at reception were always friendly and helpful. Guests were usually quiet; I met people from all ages, from early 20s to 60s. Good environment if you want to have some fun out and come back for a good quiet night. Je reviendrai volontiers en choisissant ma chambre des la resa. Mieux pour les filles que pour les gars!